We’re almost besides ourselves with excitement right now as the Apple iPad 3 event is taking place as we speak. It seems we’ve waited for a long time to finally be bringing official news but we finally have some details for you on the new iPad specs and features. We’ve already mentioned in our jailbreak article that iOS 5.1 is now rolling out from today and also given some of the 2012 Apple figures from the event and details on the Japanese version of Siri. The important thing to start with about the new iPad is that it will be released on March 16 in some regions and March 23 in others and some of the many rumored specs and features have indeed come to fruition. One of the things that was most highly anticipated was a Retina Display and lo and behold that is now official. The 9.7-inch display has a resolution of 2048×1536 giving 264 ppi. Along with that, color saturation has been enhanced. 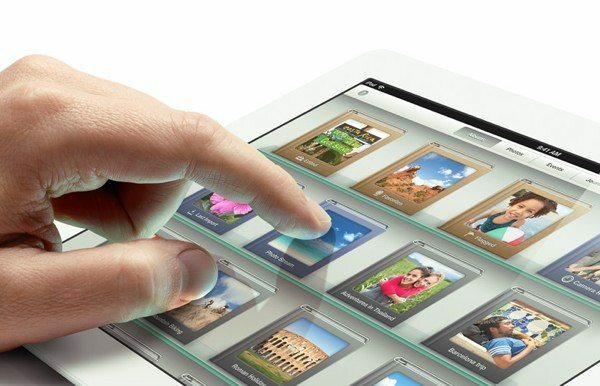 The new iPad also has an A5X processor along with an improved quad-core graphics chip. Most had also anticipated a better camera and that has also materialized in the form of an iSight camera, similar to that on the iPhone 4S. Although it’s only 5-megapixels it’s much better than it sounds as its capable of 1080p video capture and has a backside illuminated sensor and five-element autofocus lens. Features also include face detection and image stabilization. A big selling point will be LTE connectivity for both AT&T and Verizon but the carriers will have separate devices and not one iPad suitable for both. The new iPad will also offer 4G connectivity for Rogers, Bell and Telus outside the U.S. The form factor comes in at 9.4mm thick and it weighs slightly heavier than the iPad 2 at 1.4lbs. As for the name, believe it or not after everyone thought that it would be the iPad 3 or even iPad HD but Apple has so far just announced it as the ‘New iPad.’ Whether that will change or not will be interesting to see. The ‘new iPad’ then will release on March 16 with a starting price of $499 for the 16GB Wi-Fi model. The top-priced model for 64GB with 4G is $829. We’ll be bringing you plenty more posts about the new iPad so do check back with us for more. What are your initial impressions about the new iPad? Have you already made up your mind to purchase this latest Apple tablet? Previous article Previous post: NEW iPad released details, worthy of change?